Looking to add a little handmade touch to a some presents this year? 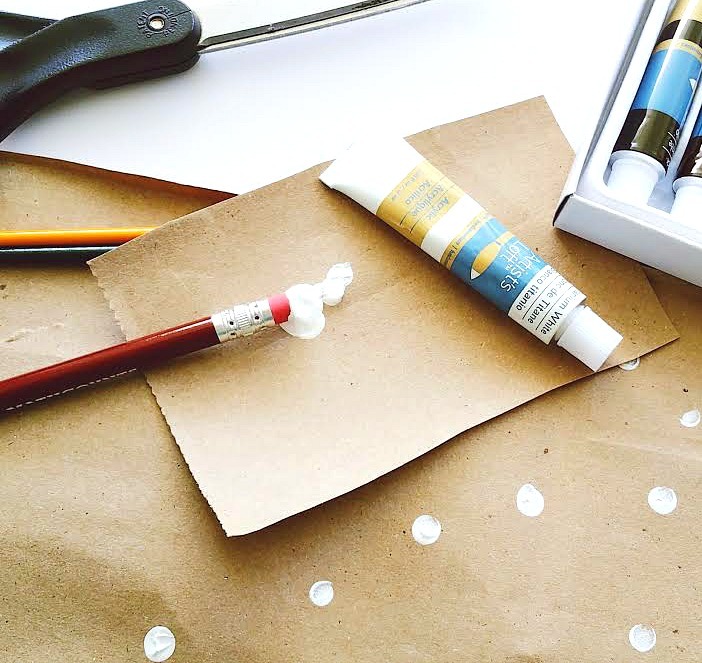 Well, here's a quick DIY that's easy to do and cute! 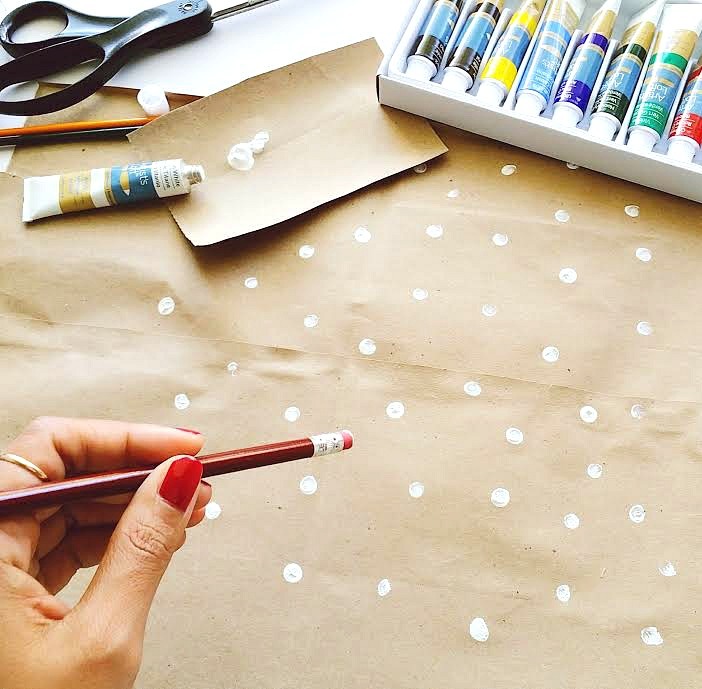 All you need is a pencil, white paint (or ink pad), and kraft paper, and there you have it! Decorated wrapping paper made by you specially made just for them. This has got to be one of my favorite things about the holiday season, wrapping up gifts and watching the surprised expressions on people's faces as they open it. Priceless. so cute! i love this little touch! Thank you, Jane! The recipients loved it so much as well, which, of course, made me happy!